Has Homeschooling Overwhelmed You? 7 Ways to Find Relief! Overview: Has homeschooling overwhelmed you? Our own actions and attitudes are often the culprit. Learn how to experience more peace as you educate your children. Why is it that as I start planning our homeschool year I see all of the possible snags which might befall us? When I read about current events on the internet why does my mind go to the worst possible scenario that could happen? As I start looking at the busy schedule that our family is going to have this coming year, between basketball and driver’s training and drama and church why does my heart start to palpitate? Homeschooling is a lot of work. 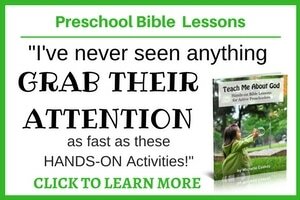 There are tons of awesome activities for our kids to be involved with, there are mounds of curriculum to choose from, there are lots of great learning methods and techniques. So, how do you know when to say yes and when to say no? 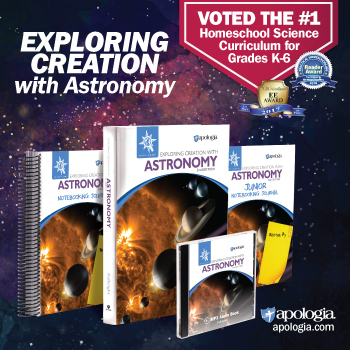 What is the very best way for YOUR family to approach homeschooling and life? If you find yourself in an overwhelming phase of life, there are ways to keep yourself from getting buried in the avalanche. Let God direct your homeschool journey rather than asking Him to just bless whatever decisions you make on your own. If God wants you to do something then it will be what’s best for your family. Don’t say yes about an opportunity until you’ve prayed about it. Try to keep an open mind. Talk to your husband about everything before you commit. Discuss things with your kids as well. It’s easy to look at our out-of-control To Do Lists and get completely overwhelmed. Don’t look at the whole list. If things are completely overwhelming in your life right now, just do the next thing. Take things one step at a time. What is the most important task for you to handle right now? Do that and try not to think about anything else. The laundry and vacuuming will still be there whenever you get around to doing them. People can’t read your mind. If you need help, ask for it! When you’re feeling overwhelmed, it’s easy to think that you’re all alone on your journey. This is certainly not the case! Don’t try to do everything yourself! If you have parents or grandparents living nearby, ask them if they can help to drive kids back and forth. Join carpools with other families who are in the same activities. Get your kids to help out around the house with chores. Ask your husband to help you as well. Trade duties with other homeschool moms so that you can help each other out and get some much needed alone time. Rather than looking at your child’s entire school career, or even a full year at once, look at one month, one week, or even one day at a time. One of my sons will be taking drama classes this year with a group which requires each family to volunteer for 60+ hours! Just thinking about all of those hours that I’m going to have to add to my schedule makes me a little bit queasy. If I break that time down by the number of weeks involved, however, it’s a much more manageable 3 hours a week. That’s still a lot of time to dedicate to one extracurricular activity but it’s easier for me to handle than thinking about the larger number. There are so many wonderful activities for homeschoolers. It’s easy to get in over our heads by signing our kids up for too many things at one time. Don’t sign your kids up for every opportunity you think they might enjoy. Decide how much your family can comfortably handle and skip the rest. As our kids get older, our lives just naturally seem to get busier. During these stages of life, it’s important to take good care of yourself. Be sure you’re getting adequate rest at night. Eat healthy foods. Try to exercise. Take some time for yourself on a regular basis. It isn’t easy to take care of ourselves when we’re busy taking care of our families; but, if we are functioning at our best, we will be able to handle the stress much more effectively. Don’t fixate too much on the future. If you’re wondering how in the world you’re going to homeschool a high schooler when your oldest child is only 3 years old, you’re putting yourself through more worry and grief than is necessary. Most of the time, things turn out much better than we’ve imagined that they will. It’ll work out. Neither you nor your child will be the same person once you get to that stage of life. Relax and focus on the here and now. Try to live in and enjoy the present. Most of all, if you’re feeling overwhelmed remember to turn to the One who started you on this journey in the first place. God has promised that He will give us wisdom if we are willing to ask for it! And He has also promised that He won’t give us anything that we can’t handle without His help. You can do this! Originally written for Proverbial Homemaker. Reprinted with permission. This is a good reminder for all of us and good timing for me as we start a new school year here in NZ over the next couple of weeks. One of our eldest sons has chosen two new courses/activities and it worked out well with our youngest son wanting to stop some of his extra outside the home activities. So I feel we can start the year without being overwhelmed and stressed and hopefully we can continue that throughout the coming school year. I love your practical reminders, thank you. I have also been watching your youtube videos again on High School Record Keeping as I wrap up the paperwork from last year, they are so helpful, thank you. That’s so good to hear, Fiona. Glad you’re figuring things out! Yes, it’s nice not to have to be too busy running around so that we have more time and energy to focus on our studies at home. We’re in the midst of basketball season over here which is a busy time. But we’ll be done in a month and even though I enjoy watching them, I’m looking forward to having a lot more quiet nights at home. I hope you have a fantastic new year of school!